As cryptocurrencies continue to remain subdued in terms of valuation, negative effects continue to show up. Nvidia – the Taiwan-based computer hardware producer, had updated its financial guidance for the last quarter of 2018, blaming weak cryptocurrency mining and slowing economic activity in China. The cryptocurrency mining industry continues to shrink alongside with the cryptocurrency market cap and we have seen recently how a US-based mining company was forced to cease activity, overwhelmed by a massive amount of debt. According to the statement released yesterday, January 28, Nvidia is expecting a revenue of $2.2 billion, down from $2.7 billion in the previous guidance. The company’s stock took a nosedive after the announcement, dropping 15% and raising concerns over the potential growth in the following quarters. Since late 2017 until mid-2018, hardware producers, including ASICS and GPUs, experienced skyrocketing demand for their products. 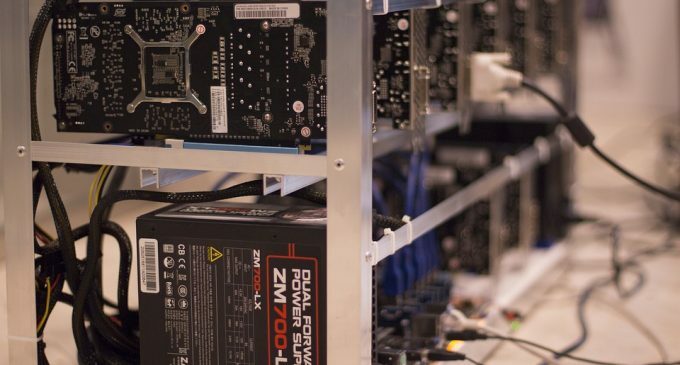 However, directly correlated with the price of cryptocurrencies, demand for mining hardware begun to contract, but GPU prices did not fall enough to boost demand from other sources. Q4 was an extraordinary, unusually turbulent, and disappointing quarter. On October 1st, 2018, the Nvidia stock was trading around $289 and in less than four months it lost more than 50% of its value, currently trading at $138. The price of cryptocurrencies and cryptocurrency mining activity are heavily intertwined, influencing each other and unfortunately, currently keeping the market near 2018 lows. Recently, we’ve talked about Bitmain, which reportedly announced to cut staff, in an attempt to balance expenses. This stream of bad news will have a domino effect and cryptocurrencies are expected to remain at low levels. Bitcoin had managed to break below the support we’ve talked about in our last weekly crypto analysis, and it is currently located around the mid-December lows, looking to be headed towards the $3,200, where some support might be found. Ether is also not looking good, as it continues to lose the ground gained between mid-December and mid-January, currently trading at $102.50. At the present time, sentiment seems to be driven by news related to cryptocurrency regulation. The United Kingdom’s FCA, alongside with other countries from Asia had recently announced steps to regulate digital assets. There are still hopes for better news related to new investment instruments by the end of Q1, which could bring up new Bitcoin futures contracts and ETFs.